​Health services are an important part of the Head Start program. Your family deserves the best health care services available. If they do not feel well, children cannot grow to their full potential physically, mentally, or emotionally. Head Start requires a physical exam, hemoglobin and lead level report, and immunizations for all children enrolling in the program. Early in the program year, Head Start conducts dental, vision, and hearing screens. You will be notified if further treatment is needed for your child’s teeth, sight or hearing. Discovering and treating problems early is important in preventing even greater problems later on. Our Health and Nutrition Coordinator will provide information to help you find a health care provider if you do not have one. She will also help to ensure that your child’s immunizations are up-to-date. During the year, the Health and Nutrition Coordinator will weigh and measure each child several times to be sure that growth is progressing normally. Your child’s nutrition assessment will also be reviewed to determine if there are any health-related nutritional needs. 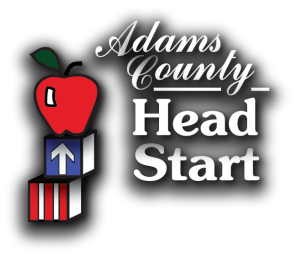 Throughout the program year, Head Start will offer opportunities for parents to learn about health and safety topics such as First Aid and CPR, Nutrition, Dental Health, Common Childhood Illnesses, Safe Food Handling, etc. Watch your newsletter for details. If you would like information on a particular health topic, please contact the Health and Nutrition Coordinator at (717) 337-1337 ext 238.